by Ginger Thompson, ProPublica December 7, 2015 This story was co-published with the New Yorker. The DEA says it has proof. But in court, most of it is staged by its own informants. ProPublica and Vox explain. 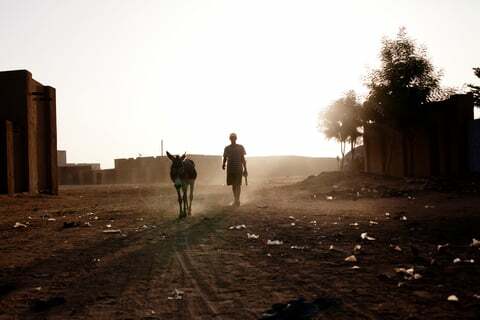 Touré and Abdelrahman came from Gao, a parched and remote city in northern Mali which has long been used as a base for smuggling of all kinds, from immigrants to cigarettes. In recent years, the surrounding region has also been the scene of conflict between violent bands of nomadic insurgents, including members of al-Qaida in the Islamic Maghreb (AQIM). During months of meetings and phone calls, David and Mohamed had told Touré that the FARC had some 30,000 fighters at war with the United States, and that it wanted to work with al-Qaida, because the groups shared the same enemy. “They are our brothers,” Mohamed said. “We have the same cause.” Touré had explained that he had connections to the organization: he ran a transport company, and, in return for safe passage for his trucks, he provided al-Qaida with food and fuel. Still, David remained skeptical. He needed assurances that Touré’s organization was up to the task. The FARC had a lot of money riding on the deal and was willing to pay Touré and Abdelrahman as much as $3,000 per kilo, beginning with a 50-kilo test run to Melilla, a Spanish city on the North African mainland. Loads ten times that size would follow, David said, if the first trip went well. “If you’re done, I’m going to speak,” Touré said. He told David and Mohamed that he was tired of all the “blah, blah, blah.” He had operatives along the smuggling route, which stretched from Ghana to Morocco. Abdelrahman, whom Touré had introduced as the leader of a Malian militia, said that he had hired a driver with links to al-Qaida. They had also bribed a Malian military official, who would help them cross the border without inspection. David was reassured. “I want us to keep working together, because we’re not doing this for the money — we’re doing this for our people,” he said. Two days later, Touré and Abdelrahman went back to the Golden Tulip to collect their initial payment. Oumar Issa, a friend from Gao who was also involved in the plan, waited at another hotel to receive his portion. Instead, the smugglers were met by Ghanaian police officers. David and Mohamed, it turned out, were not drug traffickers but undercover informants for the United States Drug Enforcement Administration. Within days, Touré, Abdelrahman, and Issa were turned over to the DEA, put on a private jet, and flown to New York, where they were arraigned in a federal courthouse. They were charged under a little-known provision of the Patriot Act, passed in 2006, which established a new crime, known as narco-terrorism, committed by violent offenders who had one hand in terrorism and the other in the drug trade. As the Malians’ case proceeded, however, its flaws became apparent. The defendants emerged as more hapless than hardened, childhood friends who believed that the DEA’s informants were going to make them rich. “They were lying to us. 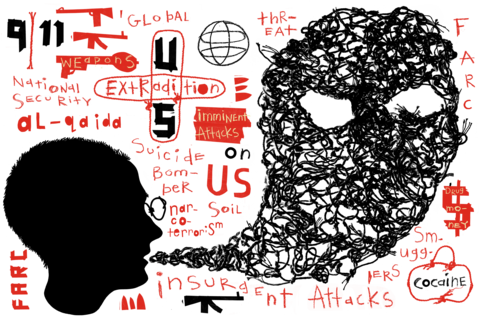 And we were lying to them,” Touré told me from prison. 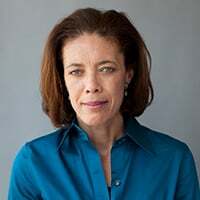 Judge Barbara Jones, who oversaw the final phases of the case, said, “There was no actual involvement by the defendants or the undercovers … in the activities of either al-Qaida or the FARC.” Another judge saw as many problems with the statute as with the merits of the case. “Congress has passed a law that attempts to bind the world,” he said to me. The investigation continues to be cited by the DEA as an example of its national-security achievements. Since the narco-terrorism provision was passed, the DEA has pursued dozens of cases that fit the broad description of crimes under the statute. The agency has claimed victories against al-Qaida, Hezbollah, the Taliban, and the FARC and established the figure of the narco-terrorist as a preeminent threat to the United States. That may well be true. In a number of regions, most notably Colombia and Afghanistan, there is convincing evidence that terrorists have worked with drug traffickers. But a close examination of the cases that the DEA has pursued reveals a disturbing number that resemble that of the Malians. When these cases were prosecuted, the only links between drug trafficking and terrorism entered into evidence were provided by the DEA, using agents or informants who were paid hundreds of thousands of dollars to lure the targets into staged narco-terrorism conspiracies. But other intelligence agencies saw the DEA’s sources as drug traffickers — and drug traffickers didn’t know anything about terrorism. A former senior money-laundering investigator at the Justice Department told me that there wasn’t any substantive proof to support the DEA’s assertions. In the next seven years, the DEA’s funding for international activities increased by 75 percent. Until then, the agency’s greatest foreign involvement had been in Mexico and in the Andean region of South America, the world’s largest producer of cocaine and home to violent Marxist guerrilla groups, including the FARC, in Colombia, and the Shining Path, in Peru. Both groups began, in the 1960s and early ‘70s, as peasant rebellions; before long, they started taxing coca growers and smugglers to finance their expansion. The DEA saw the organizations as examples of how criminal motivations can overlap with, and even advance, ideological ones. 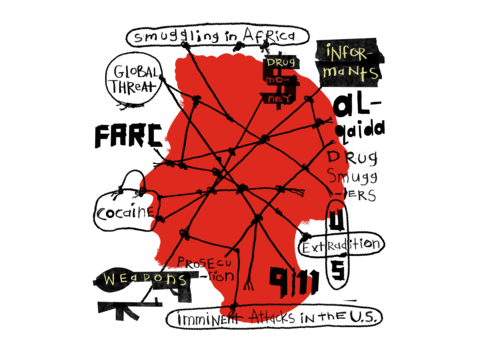 Months after the 9/11 terrorist attacks, the Bush administration reframed the drug war to make it a part of the global war on terror. 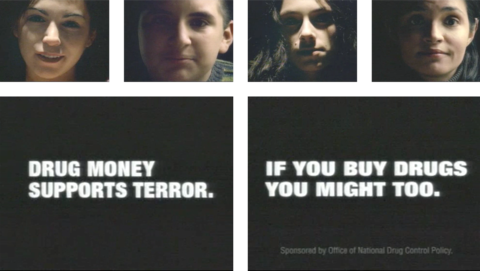 It spent some $4 million to produce these public service announcements that aired during the 2002 Super Bowl. Now the agency was focused on Afghanistan, which had been one of the largest opium producers in the world until 2000, when the Taliban declared poppy cultivation un-Islamic and banned it. Almost as soon as the Taliban were forced from power, the country’s farmers began replanting their poppy fields; the DEA warned that the new crops could become a source of revenue to finance attacks by al-Qaida. “DEA has received multi-source information that bin Laden has been involved in the financing and facilitation of heroin-trafficking activities,” Asa Hutchinson, the DEA administrator, said during a hearing on Capitol Hill in March 2002. Hutchinson cited insurgency groups in drug-producing countries around the world, including the FARC, the Shining Path, and the Kurdistan Workers Party, in Turkey, which had historically been a significant narcotics transshipment point. And Hutchinson mentioned evidence collected by the DEA that the tri-border area of Paraguay, Brazil, and Argentina — home to a large and thriving Arab business community — had become a source of financing for Hamas and Hezbollah. With support from Congress, the DEA set up the Counter-Narco-Terrorism Operations Center, a clearinghouse for any terrorism-related intelligence that its agents picked up around the world. The agency reopened its office in Kabul, which had been closed since the Soviet invasion, in 1979. And it brought together law-enforcement officials from 19 countries in Asia and Europe to participate in an intelligence-sharing project known as Operation Containment, which was aimed at cutting off the flow of Afghan heroin and opium. One of the paid informants was Mohamed, whom agents described to me only as a Lebanese businessman with ties to Arab communities in South America and West Africa. He was eventually paid more than $300,000 for his work on the Mali case. In September 2009, an investigation into an unrelated plot led Mohamed to Oumar Issa, a compact Malian man with an easy smile and angular features, who worked as a day laborer and a driver at the port in Lome, Togo, another West African smuggling center. Mohamed told Issa that hewas looking for someone who could help a group of wealthy Colombians move large loads of drugs from Ghana, through Mali, to Spain. But Touré says that Issa pleaded with him to reconsider. 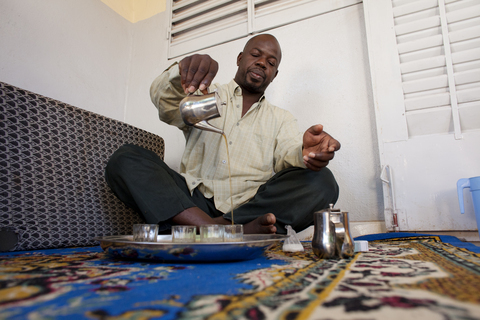 “I thought if I could just make that money everything would be fine,” Touré told me. “I could start fresh.” He enlisted Idriss Abdelrahman, who sold used auto parts at an open-air market in Gao. Together, Touré says, the three men concocted a scheme as elaborate as the DEA’s. While the informants pretended to be FARC operatives, Touré, Issa, and Abdelrahman pretended to be part of a criminal network with links to al-Qaida. The plan, Touré said, was to get the traffickers to pay them a portion of the money up front and then disappear into northern Mali. It was clear that the traffickers had never been to Mali, Touré said, so it wasn’t difficult to fool them. On Oct. 6, 2009, Touré andMohamed met for the first time, in a hotel room in Ghana. According to a DEA video recording of the meeting, Mohamed, a tall man, with a belly that hung over his belt, pulled out a map and proposed a route. Touré took it from him, and proposed another. Mohamed asked for more proof. He told Touré that he would invite a commander from the FARC to join them in Ghana, if Touré would bring a representative from al-Qaida. The DEA flew in Walter Ramirez, a convicted drug dealer from the Detroit area who had been working as an informant for the agency for nearly a decade, to play the role of the FARC commander, David. Touré brought in Abdelrahman, who played a militia leader with links to al-Qaida. The DEA maintains that, in the meetings that followed, the Malians offered ample testimony of their al-Qaida connections. The transcripts are hard to follow. It is clear, however, that the subject of al-Qaida came up repeatedly, and that it was often raised by the informants, in order to elicit incriminating statements. David waved a wad of cash. “You told me you needed to buy a truck — isn’t that right?” he asked Touré. “Hey. $25,000 so you can buy your truck.” Mohamed suggested that David’s show of trust deserved one in return. 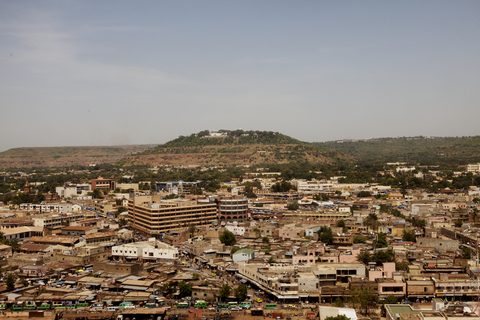 The Malians’ lawyers warned them that, under the terms of the narco-terrorism statute, the government’s case was entirely winnable, and urged them to negotiate a plea. “When a jury hears ‘al-Qaida,’ it stops listening to everything else,” Gatto said. Touré thought that his lawyers either had given up on him or were plotting with the prosecution. It seemed absurd that his improvised boasts to David and Mohamed could be enough to convict him. He asked his relatives in Mali to sell his home and to finish a pending construction project, so that he could hire a private attorney. The relatives sent him $30,000, enough only for a retainer. When the money ran out, the attorney quit. 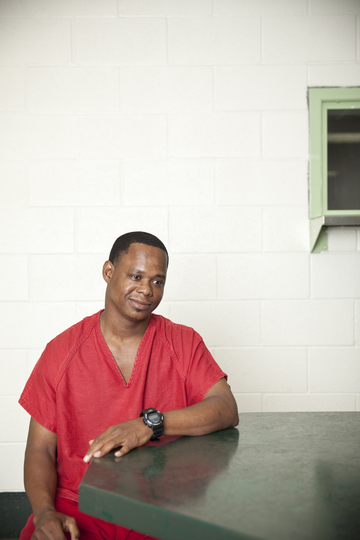 Touré then asked the judge to reappoint his original public defenders, and he immersed himself in the case. He spent nights listening to audio recordings from the sting operation, pointing out discrepancies in how the conversations were translated. Because he was illiterate, he asked his lawyers to read him all the documents filed in court, so that he would know what arguments were going to be made. On the eve of the trial, prosecutors brought up a seemingly unrelated piece of evidence: the story of an American missionary named Christopher Leggett, who had been killed by AQIM in 2009, the year that Touré, Abdelrahman, and Issa were arrested. 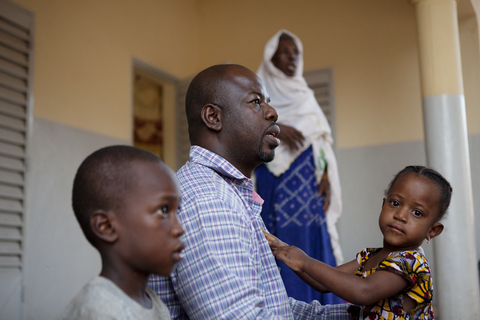 Leggett, a 39-year-old father of four, had been shot near a school that he ran in a poor neighborhood in Mauritania. Prosecutors shared photographs showing groups of dark-skinned, turbanned men waving rocket launchers and automatic rifles over the heads of kidnapping victims — all of them white, all visibly terrified. 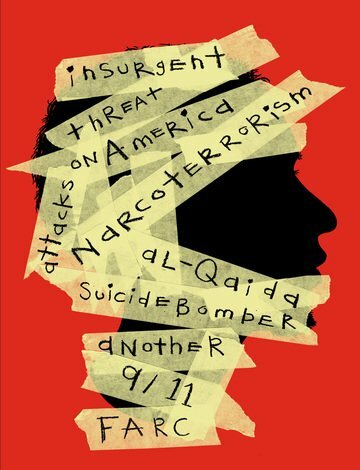 The prosecutors argued that the murder demonstrated why terrorist conspiracies in Africa posed a threat to the United States. “It shows jurisdiction,” Christian Everdell, one of the prosecutors, said. But Abdelrahman’s allocution, the procedure meant to assure the judge that he understood the charges against him and accepted his guilt, was unconvincing. “I still continue to believe that I am totally innocent,” Abdelrahman said. “But I have been scared by what I heard yesterday — yesterday people were talking a lot about al-Qaida and the pictures.” Judge Jones advised Abdelrahman that she could not accept a plea if he did not think he was guilty, and suggested that perhaps the case should proceed to trial. Everdell, the prosecutor, proposed increasingly watered-down versions of what Abdelrahman was pleading guilty to. “I think what the defendant is protesting is that he didn’t think, or in his mind he didn’t think, that he was a terrorist, or this word ‘terrorism’ is causing a reaction, which I think is perfectly understandable,” he said. Neither the DEA nor the Justice Department would provide me with a complete list of alleged narco-terrorists who have been captured since 9/11. But last May the DEA’s Counter-Narco-Terrorism Operations Center published a report highlighting its achievements. The report notes that, of the State Department’s 58 officially designated foreign terrorist organizations, 23 have been linked by the DEA to “some aspect of the global drug trade,” including al-Qaida, Somalia’s Al Shabaab, Pakistan’s Lashkar-e-Taiba, and Nigeria’s Boko Haram. It also gives brief descriptions of more than 30 investigations involving defendants captured around the world. 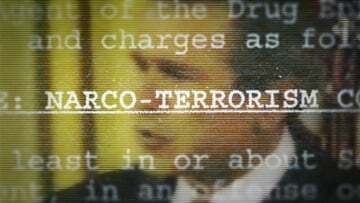 Some have been charged under the narco-terrorism provision of the Patriot Act. In other cases, the DEA used the expanded authority it had been given under the law more as an investigative license. After the agency brought the defendants to the United States, they were charged with different crimes. Most of the arrests resulted from sting operations, in which the connection between drug trafficking and terrorism was established in court as a part of conspiracies that were conceived by the DEA. An Afghan named Taza Gul Alizai sold heroin to an undercover DEA agent, and then, according to his lawyer, was lured onto a plane to the Maldives by the promise of a visit to a licensed dentist. In his case, the connection to terrorism came from the testimony of a DEA informant, who arranged the deal and pretended to represent the Taliban. Among those caught in the narco-terrorism stings are government officials such as Bubo NaTchuto, a former head of Guinea Bissau’s navy, who was arrested for drug smuggling in 2013, after an operation led by two DEA informants posing as members of the FARC. The same year, Dino Bouterse, the son of the president of Suriname, was arrested for conspiring to import drugs. The investigation involved a group of DEA informants who posed as Mexican drug traffickers with connections to Hezbollah. The DEA argues that there is much more to its narco-terrorism cases than what is presented in court. Before every sting, the agency uses wiretaps and its network of sources to investigate targets for links to drugs and terrorism. Once the connections are established, it stages a sting to capture the targets before they can do more harm. In order to protect the secrecy of its investigative methods, the DEA says, it withholds much of the evidence collected previously, unless it’s necessary to make a case. Most of the time, officials say, it’s not. Under U.S. law, the statements and activities recorded during stings are usually sufficient for prosecutors to file some combination of federal charges. ISIS, currently the foremost terrorist threat, is funded by oil revenues, taxes, and extortion but not by drug trafficking. Though al-Qaida is listed by the DEA as a drug-trafficking organization, the 9/11 Commission found “no substantial evidence” to support that characterization. Its report said, “Although there is some fragmentary reporting alleging that Bin Ladin may have been an investor, or even had an operational role, in drug trafficking before 9/11, this intelligence cannot be substantiated and the sourcing is probably suspect.” The Senate Foreign Relations Committee came to the same conclusion in August, 2009. “A lot of people have been looking for an al-Qaida role in drug trafficking, and it’s not really there,” one State Department official told committee members. In the Afghan drug trade, the Taliban may be the least of the culprits. In 2009, the United Nations Office on Drugs and Crime reported that the Taliban earned an estimated $125 million from narcotics each year, about four percent of the estimated $3.4 billion generated in Afghan opium sales. 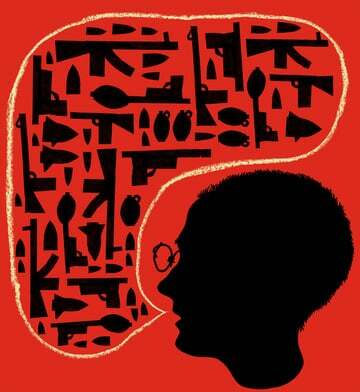 The bigger problem, according to Barnett R. Rubin, who served as an adviser to the late Richard Holbrooke, the U.N. Ambassador, might be America’s allies. “The empowerment and enrichment of the warlords who allied with the United States in the anti-Taliban efforts, and whose weapons and authority now enabled them to tax and protect opium traffickers, provided the trade with powerful new protectors,” he has written. Skepticism about the extent to which terrorists engage in the drug trade also runs deep among numerous counterterrorism and national-security officials I spoke to at the FBI, the Pentagon, the White House, and the State and Treasury Departments. “In all these years, there’s never been a smoking gun in any of the cases I’ve seen,” Rudy Atallah, a former counterterrorism adviser at the Pentagon, told me. A former official at the Treasury Department who has investigated terrorist financing in Africa said that DEA agents posted there often scolded the intelligence community for not taking seriously the links between drug trafficking and terrorism. But, when pressed for proof, the agents said that the information was privileged or part of an ongoing investigation. “There was no corroborating evidence thatsenior terrorist leaders of Hezbollah, AQIM, or any other African groups had decided to get involved in the drug trade,” the former official said. Last October, about a month after Touré was released and returned to Mali, I went to see him. He suggested that we meet in Bamako, the capital, since Gao has become dangerous. In 2012, Mali’s President, Abdoulaye Toumani Touré, resigned as a result of a military coup, and left the country. Gao, along with all of northern Mali, was attacked by a loose coalition of Tuareg tribesmen, extremists, and AQIM. 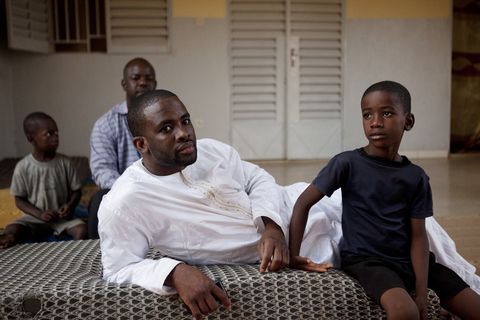 Touré’s wife and sons fled the city to live with relatives in Bamako. The new President, Ibrahim Boubacar Keïta, who was elected after he promised that he would have “zero tolerance” for corruption, promptly used $40 million in public funds to buy an airplane. Poor harvests have caused serial food crises, and increasing poverty has pushed Mali close to the bottom of the U.N.’s Human Development Index. Touré told me that he was thinking about leaving Gao, too. He even admitted that there were things he missed about the United States, or, at least, the version he had seen in prison. He remembered working out in the gym every day, and the English classes he took in the afternoon. Most nights, he said, he and other inmates would gather around a television set to watch basketball. He recalled that, after the Miami Heat lost the 2014 NBA championship series to San Antonio, he didn’t sleep for several nights. Cynthia Cotts contributed to this report. Design and production by David Sleight and Emily Martinez.